Dune Dog Cafe is a local hidden gem and fan favorite. Especially popular among young families, their Kids Night is always slammed with kids eating for free and getting insanely impressive balloon creations prepared tableside. The atmosphere is fun and lively with an outdoor tiki hut feel going on. They keep the menu fairly simple with American fare – hamburgers, salad, wings, you name it. 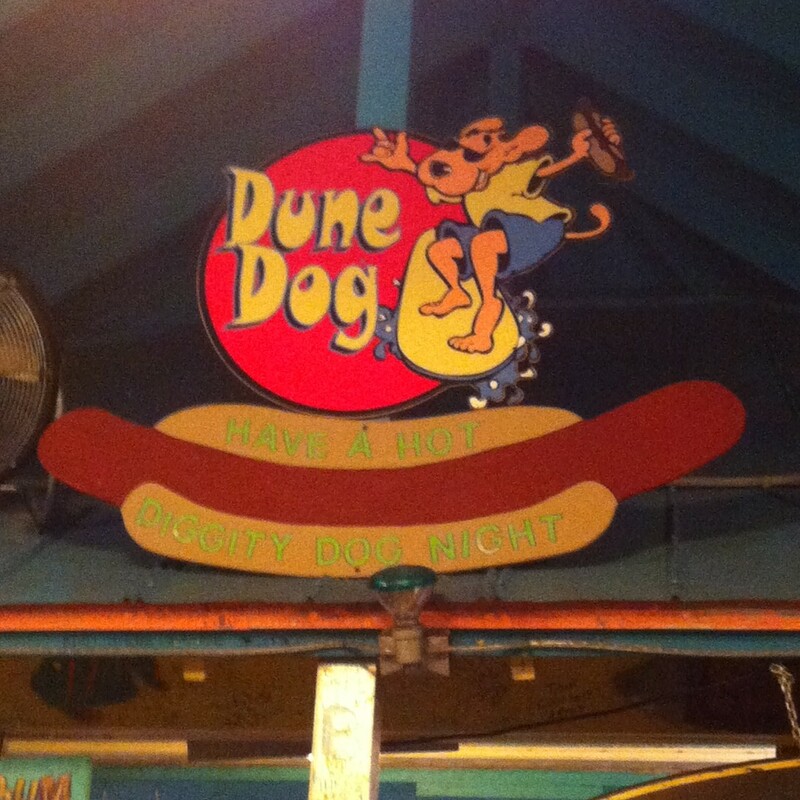 With the name Dune Dog and a surfing, hotdog-loving mascot, you obviously have to have a hotdog portion of the menu and they do not disappoint with The Dog House. Featuring anything from a Naked Dog to a Chicago Dog to the Dune Dog… or there’s always Leroy Brown’s Junkyard Dog if you’re feeling adventurous. My personal favorite and go-to is their Dolphin Sandwich, blackened. It’s a nice portion and always cooked to perfection. There were actually 3 dolphin sandwiches at the table last time we went- it’s hard to pass up. We also had a Big Kahuna Burger at the table with a half pound patty, bacon and BBQ and a Dune Dog stacked with onions and relish. For sides you can choose from Waffle Fries, Onion Rings, Creole Rice, Veggies, Corn on the Cob, etc. Dune Dog is a fun spot with picnic-style tables, a bar and nice casual Florida feel. Due to their popularity, service is friendly and efficient. Fun Fact: Wednesday is Kids Night, so be prepared to wait and be seriously outnumbered.